Umpiring a baseball game is full of visual challenges. Some are unusual and others are more common. In a recent game, the uninformed runner at third took his lead in fair territory. A hard-hit grounder down the foul line nearly hit the runner. The plate umpire focused on the possible hit runner and didn’t pay close attention to whether the ball passed over part of the bag. 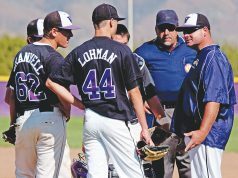 While every call an umpire makes involves a visual observation followed by the application of a rule, there are certain routine plays that present an exceptional visual challenge. It would be good for umpires if players were taught to put their foot in the middle of a base. While that does sometimes occur, coaches prefer a runner to graze the edge of the base with the side of his foot. That allows the runner to maintain his maximum speed while reducing the likelihood of turning an ankle. However, the preferred technique increases the difficulty the umpire has in determining if the base was actually touched. Perhaps the most difficult base touch for an umpire to discern is that of a runner rounding third on his way to the plate. The plate umpire, at best, is going to be 45 feet away when the touch occurs. If the runner goes for the second-base side of the bag, the umpire has a reasonable chance to see contact with the base. However, if the runner puts his foot down in front of the base, there is no way the umpire can see between the base and the runner’s foot. 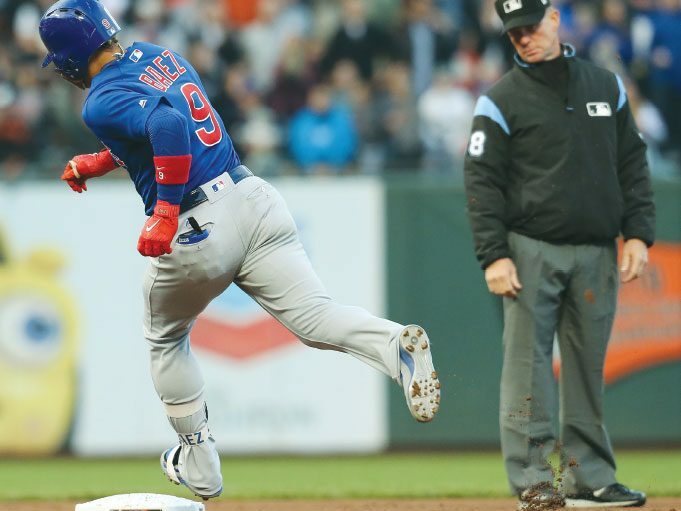 In those cases, as well as others, the umpire should rule the base was touched if the foot was put down close enough to the base so that he “could” have touched it. 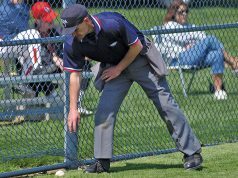 When a thrown ball goes over a fence or into the stands or other dead-ball area, runners, including the batter-runner, are awarded two bases. The base from which the award is made can be determined either from the time of the pitch or the time of the throw. In most cases, the award will be made from the time of the pitch. That is true if the throw is the first play by an infielder; however, there is an exception and that’s when the visual challenge to the umpire comes into play.